Dieses Kleid ist Made-To-Order.Ob Sie eine Standardgröße oder kundenspezifische Maße wählen, unsere Schneider fertigen jedes Kleid, um zu bestellen. Durch die Auswahl "Benutzerdefinierte Größe", wird Ihr Kleid persönlich für Ihren passgenau zugeschnitten werden. Sie können dieses Produkt bereits erhalten May 03,2019 Wenn die Bestellung HEUTE Jetzt kaufen, um mehr Geld zu sparen! This is a finished dress tailored and photographed by dylanqueen.ca. All rights reserved. Copying or otherwise reproducing this image is strictly prohibited. Standard Empfangszeit (Zählung ab dem Zeitpunkt, wenn Sie erfolgreich zahlen) = Schneiderei Zeit (ca. 22-25 Kalendertage) + Versandzeit (ca. 3-8 Kalendertage). Messen Sie mit Unterwäsche ähnlich denen Sie mit Ihrem Kleid tragen Unterwäsche; Über andere Kleidung messen Sie nicht. Achten Sie darauf, das Maßband parallel zum Boden und zog gleichmäßig über den Körper ohne Durchhang. Vielleicht möchten Sie erwägen, professionell gemessen. Messen Sie vom höchsten Punkt ihrer Schulter nach vorne, unter der Achsel hindurch, nach hinten und über die Rückseite wieder zurück zum höchsten Punkt der Schulter. 1. What payment methods do you currently accept? We currently accept payment via Credit/Debit Card & PayPal. 2. How can I check my order status? If you want to track the status of your order, like where is your order, when you will receive your order, whether your order has been dispatched yet, please visit order status. 3. How is sales tax and/or VAT paid? The product prices you see has already included such taxes and the final price you pay at checkout will be final. Note: please be aware that some countries may charge a customs import duty tax that you may have to pay, please check with your local customs office for further information. 4. Where can you ship to? We ship worldwide. There may be particular locations that we might require additional information to ship to, However, if such a rare event were to occur, we will get in touch with you ASAP. 5. What kind of warranty or guarantee do you offer on your products? 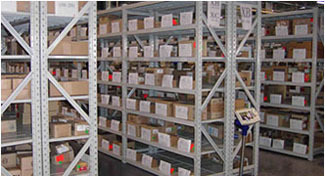 We sell products that we believe to be of high quality and reliability. Before shipping each dress to our customers, our Q&C personnel will do detailed check to ensure the high quality and Never on purpose send out damaged or faulty goods. 6. The dress price you wrote on the invoice is lower than the actual price,why? For avoiding the custom tax,we always write a lower price on invoice so that the parcel can pass the custom without any extra. Otherwise, customers have to pay a high amount import custom tax. 7. What is your Return Policy? Customers need to contact our Customer Service to initiate the return process within 7 days upon receiving your items. If your product arrives in a defective manner, mis-shipped or color error, you are qualified to get a full refund. However, if the item is not faulty or it is made in accordance with the size you ordered but does not fit, please note that we will NOT accept your returned item. Anyway customers bear the freight of returns. 8. How much will the shipping cost? The shipping fee varies from country to country. It also depends on the weight of the items you order. You may place a test order to check the shipping fee. 9. How long is the delivery time? Standard receiving time (Time needed for your order to be received successfully since you made the order) = Tailoring time (around 12-15 Calendar days) + shipping time (around 3-8 Calendar days). 10. How is our store different from other online dress stores? Our store goes right to the source to purchase our beautiful gowns. The gowns we sell are of the same high quality as the designers sold in traditional salons and by other online retailers. Although we do not sell “designer” labeled gowns, you still get a beautiful bridal gown, without the designer price. 11. Why my shopping cart is cleared when checking out? Our store needs your browser to enable cookies to process some data to shopping cart system. If you cannot add products to shopping cart or products are cleared when checking out, it may be the result that you have disabled the cookies. So just enable it and here are some tips on how to enable your cookies. 12. Why does my payment fail and how to solve? 1. If you choose the 3D credit card payment, please visit how to activate your auth code when pay the order. 2. We have a strict security check before you go through for the international payment. If your payment card has high risk of security matter, we may refuse your payment. Generally, you may fail to pay at the first-time try because the secure level is the highest. So you just need to pay again and then the secure level will be lower than the former one. If you find that your payment fails over 4 times, please change another card or contact us at service ASAP for assistance. This is because your credit card is regarded as "high risk card" by our automatic-check system. 13. Whether or not I could get the dress to fit with being pregnant? Yes, but it is suggested that you tell us your body size about a month ahead of the wedding. We can make the dress fit your body. 14. Is your size chart based on UK or USA standard? How is better to order right size? Our size chart is made on our own, different from UK and USA size. You need to check our size chart to choose the right size. You may also refer to our measuring guide to see how to get professional measuring. If you have concerns about the size, we highly suggest you choose the custom size. 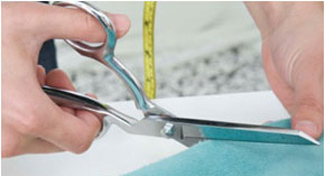 Please get the professional measurements first and fill in the exact measurements when you place an order. 15. What if I would like the dress shorter? What measurements should I provide in the custom order fields? You can give us a smaller Hollow to Hem size. Please kindly measure yourself carefully and choose a size that fits you most. We also suggest you tell us that you need the dress shorter in the "Note" column at the product page. Then we will know. 16. What if I would like to do some alterations on the dress, like adding the straps or changing the back style? Do I need to pay extra money? Yes, you may need to pay extra if you require any alterations on the dress. But not always, so feel free to contact us. 17. If I order this dress in a standard size, can i return it if it does not fit or if I just do not like it? If we send wrong or unmatched dress, we will take all responsibility and give you a top solution to your best satisfaction. We are afraid that return without reason is not acceptable. So please measure your body precisely in accords with our website size chart. 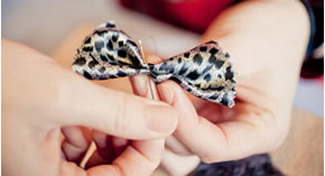 Each dress you order will be made from scratch totally according to your specifications. Our tailors will make the perfect dress for you. 18. 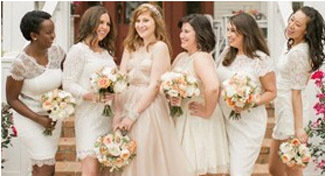 Can I change the size and color for my dresses after payment? We can change the size and color for you but you may need to contact us within 12 hours after you complete the payment. If under tailoring, you can't change any more. Wir wählen sorgfältig hochwertige Perlen, Perlen, Stoffe und Fäden, um jedes Kleid zu kreieren. Wir suchen nach lebendigen Farben, schönen Glanz und reichen Texturen in jedem Material, das in Ihr Kleid geht. Viele unserer Kleider verfügen über schöne Perlen an den Ärmeln, Mieder oder Rock. Professionelle Schneiderinnen verbringen Stunden geschickt auf Perlen und Perlen zu nähen, um ein elegantes und klassisches Design für Sie zu vervollkommnen. Ruched Detaillierung ist nicht nur Dekoration für Ihr Kleid - es kann helfen, eine Figur-schmeichelnde Silhouette zu schaffen. Unsere Schneider machen alles von Hand, um die perfekte Form und Fülle auf jedem Kleid zu schaffen. Alle unsere Kleider sind komplett gefüttert und strukturiert, um ihre Form zu halten und schmeicheln Sie Ihre Figur. Unsere Full-Skirted Kleider verwenden ein hartes Netto-Futter unter einem weichen Stoff, der sich angenehm an der Haut fühlt. Exquisites Paket begleitet jedes Kleid. Wir versenden in über 200 Länder weltweit durch schnelle und zuverlässige Lieferpartner.